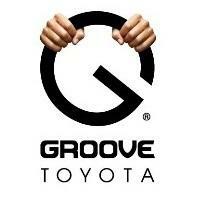 Welcome to Groove Toyota. It's a whole new way to move. Our Clear Way Menu provides everything you need to know up-front: payments, taxes, and your trade-in value. And, if you're not fully satisfied within 4 days/200 miles after purchase, you can bring your vehicle back. Our Groove certified pre-owned vehicles undergo a 130-point inspection, a rigorous re-conditioning and a comprehensive road test. And if your certified pre-owned vehicle needs a repair in the first 2 months/2,000 miles, bring it in. We'll fix it.